The petitions were endorsed by 335 groups and delivered to the respective Prime Ministers. We heard that you will visit Japan on May 27 and are extremely worried that during the planned Heads of Government meeting discussions will be held towards a nuclear cooperation agreement between Japan and India that would make it possible for Japan to export nuclear power plants to India. It was suddenly announced in June 2010, under the Democratic Party of Japan Government, that negotiations toward a Japan-India nuclear power cooperation agreement would commence. At the time, the people of Hiroshima and Nagasaki and people throughout Japan, including several newspapers, raised their voices in protest, saying, “Will business be prioritized over non-proliferation?” The reasons so many people opposed a nuclear agreement between our two countries at that time are as follows. India has not joined the Nonproliferation Treaty (NPT). In 1974 India conducted a nuclear test using nuclear energy technology received from Canada, then in 1998 it conducted further nuclear weapons tests. India has not joined the Comprehensive Test Ban Treaty (CTBT) and insists that it is a nuclear weapons state. When the Nuclear Suppliers Group’s guidelines were amended to allow special arrangements for India, the Indian Government gave no undertaking not to carry out nuclear tests in future. India has only allowed limited inspections by the IAEA to verify that it is not converting nuclear material produced in India for the manufacture of nuclear weapons. It is in this context that India is now proceeding with the expansion of its nuclear energy and nuclear weapons programs. We are outraged that the above concerns have been ignored and protest the fact that the governments of Japan and India are forging ahead with negotiations for a nuclear cooperation agreement. We who experienced the Fukushima nuclear accident are reminded daily of what a nuclear disaster does to people’s lives and to the environment. We request that you go to Hiroshima and Nagasaki, visit the peace museums there and listen to the experiences of the hibakusha. Visit also Fukushima, the site of the nuclear disaster, and find out how people are trying to live with four reactors emitting radioactive material around them; find out the horrendous conditions of radiation exposure that the thousands of workers trying to contain the accident must endure, and learn what has happened to the seas, the forests and the farmland. In India emphasis is placed only on the electricity consumption of people living in the cities and the demands of industrialists for economic growth. Meanwhile, citizens’ opposition movements at proposed nuclear construction sites are repressed and special forces are used at Koodankulam in the south and Jaitapur in the west, even resulting in the death of an activist. We cannot accept the fact that while closing its eyes to the inhumanity of nuclear weapons and nuclear energy the Indian Government is repressing the people throughout India who oppose nuclear energy. Ignoring the concerns of the people, concealing information, circumventing democratic procedures, and collusion between organizations dedicated to the promotion of nuclear energy and regulatory organizations are things that lead to nuclear accidents. Nuclear power is clearly an industry in decline and it is incompatible with democracy. The people of Japan have experienced the Fukushima accident and strongly oppose the export of nuclear power plants to other countries. We demand the following. 1. Do not engage in talks towards a Japan-India nuclear power cooperation agreement. 2. 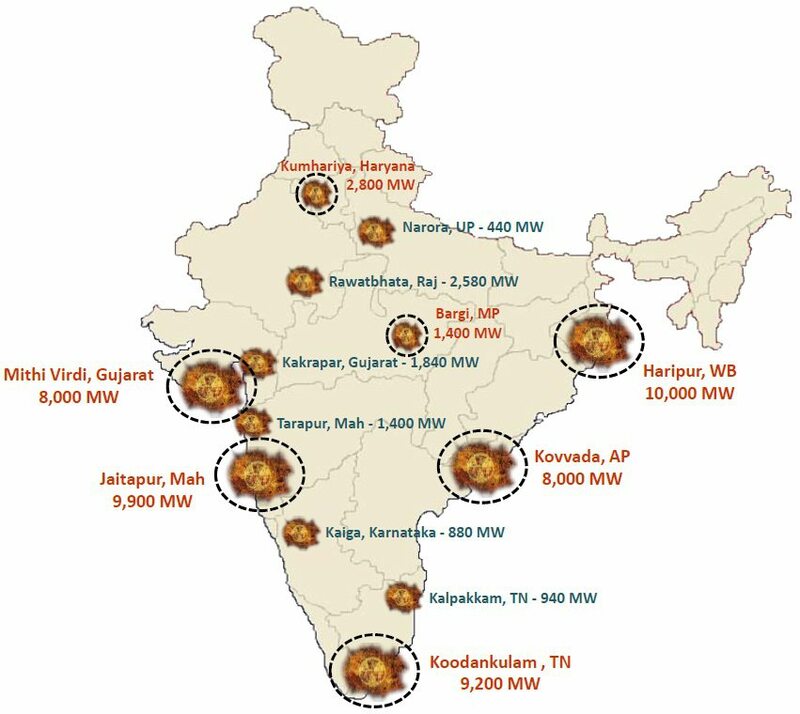 Immediately stop repressing people in India who are opposed to nuclear power plants. 3. Abandon operation of the Koodankulam nuclear power plants and begin decommissioning it immediately. 4. Abandon the import of nuclear plants from abroad and the construction of new facilities.